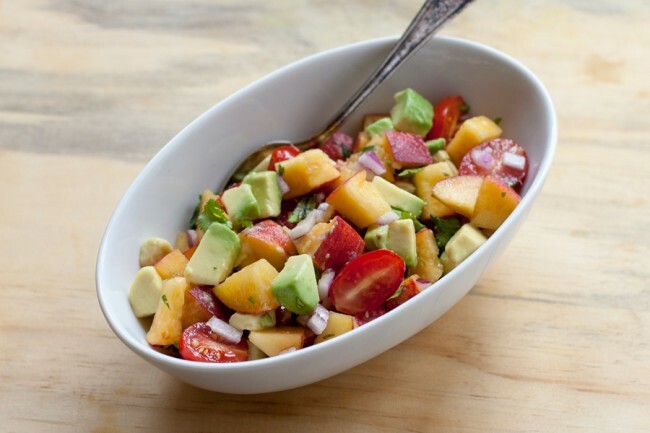 In a medium bowl, combine peaches, avocado, tomatoes, cilantro, and lime juice. Season with salt to taste and serve. Delicious served with tortillas chips or as a topping for grilled fish, steak, chicken, or pork.